Looking for a seaside Christmas party in Cornwall this 2019? With incredible drink deals, killer Christmas feasts, festive bangers AND epic sea views all on the menu, you’re not gonna find a merrier Christmas than at Belushi’s in Newquay! Book one of our Newquay Christmas packages for a killer 3 course meal or a badass festive buffet. We’ve even got a pre-paid bar tab offer so you can spend less time at the bar and more time rockin’ around the dancefloor! 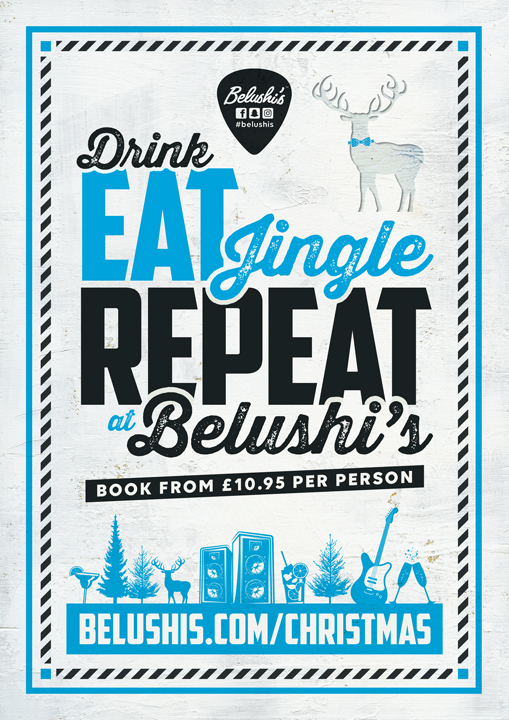 You’re in for one very merry Christmas with us at Belushi’s, so book your Newquay Christmas party now!